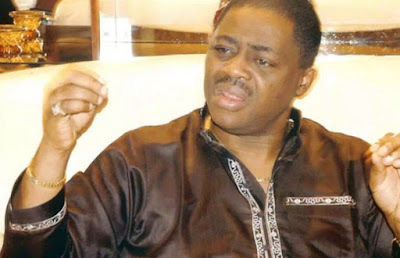 Former Aviation Minister, Femi Fani-Kayode, Saturday alleged that doctors have ruled out President Muhammadu Buhari’s return because he can no longer function. He made the disclosure while berating the All Progressives Congress, APC, National Chairman, John Oyegun for saying Buhari is fast recovering from his illness in London. The Peoples Democratic Party Chieftain described Oyegun as a “liar” for giving such update on Buhari’s illness. Fani- Kayode, who took to his twitter handle wrote: “Attempt to bring @NGRPresident Buhari to Nigeria from London has flopped again as his doctors rule out his ability to function. O ma se o! This is coming at a time when the Ekiti State Governor, Ayodele Fayose claimed that Buhari has been on life support for 20-days.